The La Trobe Comprehensive Proteomics Platform offers a suite of synergistic capabilities for the characterisation of proteins of interest to academic and industry researchers in the agricultural, health, life, molecular, pharmaceutical, population, and psychological sciences. The specific capabilities offered by this unique platform are enabled by a multidisciplinary team of experienced researchers and professional staff with outstanding research track records. The workflow of capabilities and expertise enables the identification and quantitation of biomolecules from complex mixtures through to structure determination and analysis of interactions, kinetics and thermodynamics. Core expertise in advanced experimental design, informatics, and data analysis underpins the three main capabilities of the platform. For further information: please visit the CPP hub by clicking here or contact Associate Professor Matthew Perugini (03 9479 6570) for a discussion of your requirments. Employing liquid phase (i.e. HPLC) and gas phase (i.e. mass spectrometry) methods to isolate, detect and quantify protein biomarkers from complex samples or mixtures (e.g. wild-type versus disease, susceptible versus resistant, GMO versus organic, pre- and post-exercise, etc.). This capability also offers quality control services for confirming the molecular weight of recombinant proteins, proteins purified from natural sources, and commercially prepared proteins and synthetic peptides. Thermo Scientific Q-Exactive HF with Ultimate 3000 RSLCnano - for protein, peptide and small molecule applications, it takes identification and quantitation to a new level with respect to speed, sensitivity and resolution. Thermo Scientific LTQ Orbitrap Elite ETD Mass Spectrometer - provides excellent mass accuracy and resolution of proteins in high complexity samples (such as cell lysates, plasma and tissue homogenates) and the characterization of posttranslational modifications (such as phosphorylation and glycosylation). Thermo Scientific TSQ Vantage Extended Mass Range Mass Spectrometer - enables accurate quantitative analysis of targeted peptides and small molecules from complex mixtures, such as serum, tissue homogenates, cell lysates and other biological fluids/preparations. Bruker Daltonics Ultraflex III MALDI-TOF/TOF Mass Spectrometer - for quality control experiments to determine the mass of recombinant proteins, purified natural proteins, and commercially-prepared proteins and synthetic peptides. Bruker Daltonics micrOTOF- Q Mass Spectrometer – used to determine accurate mass of proteins and small molecules in solution. Bruker Daltonics HCTultra PTM Discovery System Ion-Trap Mass Spectrometer - enables the identification of proteins and mapping of post translational modifications of proteomic samples with low complexity (e.g. gel bands). Bruker Daltonics Esquire 6000 Mass Spectrometer - used to determine the mass and subsequently identify small molecules (such as metabolites). Dionex UltiMate 3000 Intelligent LC System - enables the separation of complex mixtures of proteins and biomolecules (such as cell lysates, plasma and tissue homogenates). Proteineer Fc MALDI Spotting Robot - performs high throughput sample preparation for MALDI-TOF/TOF experiments by spotting samples with MALDI matrices to facilitate ionisation from solid to gas phase. Agilent Technologies 3100 OFFGEL Fractionator – allows for the separation of proteins in complex mixtures based on isoelectric point for subsequent analysis by mass spectrometry. Proteineer Gel Spot Picking Robot - enables the selection, excision and extraction of a gel band or spot of interest for subsequent mass spectrometry analysis. Utilising circular dichroism (CD) spectroscopy, high field nuclear magnetic resonance (NMR) spectroscopy and/or X-ray crystallography to determine the three-dimensional structure of peptides, proteins and biomolecular complexes (such as protein-protein, protein-DNA, protein-drug and protein-lipid complexes). Aviv Biomedical Circular Dichroism Spectrometer - used to determine the secondary structure of proteins and peptides in aqueous solution. for up to 480 samples - enables structure determination of isotopically enriched proteins, peptides and biomolecular complexes (e.g. protein-drug complexes) in aqueous solution. Agilent Technologies SuperNova X-ray Diffractometer - provides an in-house X-ray source for measuring diffraction of protein crystals for the subsequent determination of the three-dimensional structure. Encompasses the method of analytical ultracentrifugation to determine native mass, stoichiometry and shape of proteins and biomolecular complexes in solution; and the techniques of isothermal titration microcalorimetry (ITC) and microscale thermophoresis (MST) to measure the thermodynamics of protein-protein and protein-ligand interactions. 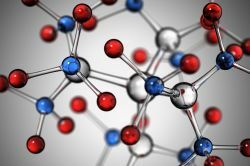 The recent addition of surface plasmon resonance (SPR) spectroscopy to this capability has enabled the measurement of binding kinetics to complement thermodynamic analyses. Biacore T200 - for proteins and biomolecular complexes, it provides kinetic, affinity, concentration, specificity and thermodynamic interaction data in real time with exceptional sensitivity. Detection System - uses centrifugal force coupled to sensitive absorbance or fluorescence detection to determine the native molecular mass, shape and binding thermodynamics (i.e. affinity & stoichiometry) of proteins and biomolecular complexes in solution. MicroCal iTC200 Isothermal Titration Microcalorimeter - measures the change in heat accompanying the titration of a ligand (e.g. drug) with an acceptor (e.g. protein) to permit the determination of affinity, stoichiometry and other molecular properties. NanoTemper Monolith NT.115 RG Microscale Thermophoresis Instrument - uses the process of thermophoresis (i.e. a temperature gradient) to measure binding of an interacting partner (e.g. peptide, protein or ligand) to a fluorescently labelled acceptor protein. NanoTemper Monolith Label Free Microscale Thermophoresis Instrument - employs thermophoresis to measure binding of an interacting partner to an acceptor protein using intrinsic aromatic amino acid fluorescence.